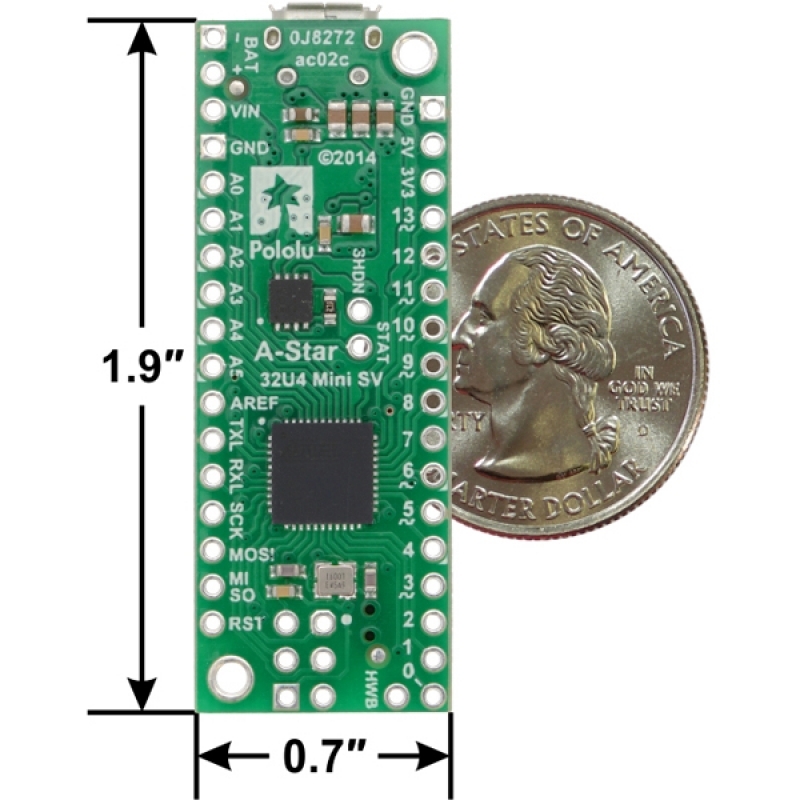 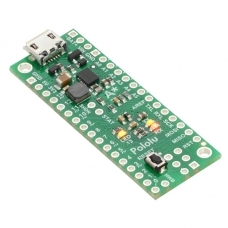 The A-Star 32U4 Mini SV is a programmable module based on the ATmega32U4 from Atmel. 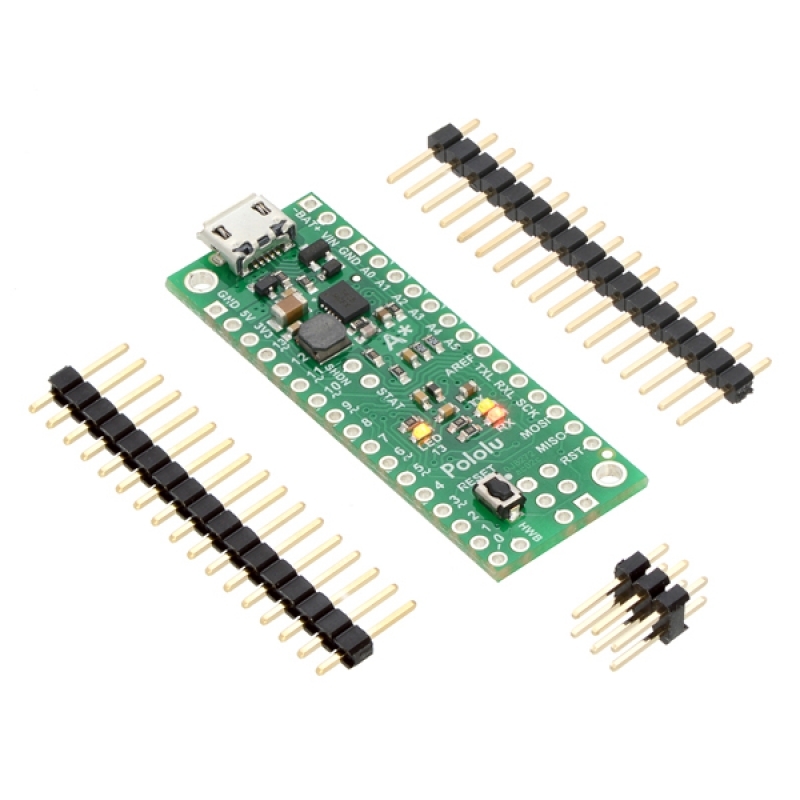 Unlike competing products, it has an onboard switching step-down regulator that allows it to be powered efficiently from a 5 V to 36 V supply. 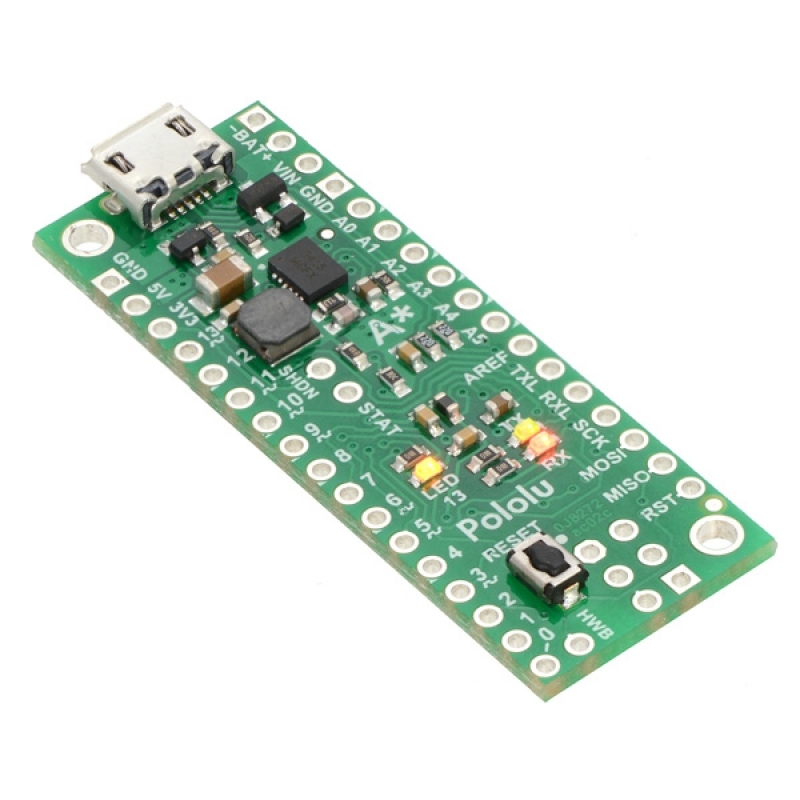 This compact 1.9″ × 0.7″ board breaks out all 26 of the microcontroller’s I/O pins (of which 7 can be used as PWM outputs and 12 as analog inputs), and loading programs is made easier by a Micro-USB interface and a preloaded Arduino-compatible bootloader.